The soul, the only aspect of a human being the Bible says is eternal, is like a car, according to megachurch pastor and award-winning author John Ortberg. "If you want to care for your car, you kind of have to know what the parts do, what the carburetor does, what the fan belt does — somebody's gotta know that if they want to care for it." And the car — that is, the soul — has nine needs that must be met in order to function at optimal efficiency, or in this case, to experience God's shalom, Ortberg suggests in his new book Soul Keeping: Caring for the Most Important Part of You. "The soul is a little like the king on a chessboard," he explains in Soul Keeping. "The king is the most limited of chess pieces; it can only move one square at a time. But if you lose the king, game over. Your soul is vulnerable because it is needy. If you meet those needs with the wrong things, game over. Or at least game not going well." The soul, writes Ortberg, needs a keeper; a center; a future; to be with God; rest; freedom; blessing; satisfaction; and gratitude. The greatest need among these, according to the author, is gratitude. But the biggest obstacle to a soul meeting these needs is sin. Ortberg writes in Soul Keeping that "sin is the sickness that our souls have inherited" and that sin is not only the bad things we do but also the good we fail to do, and that there is no such thing as a small sin. 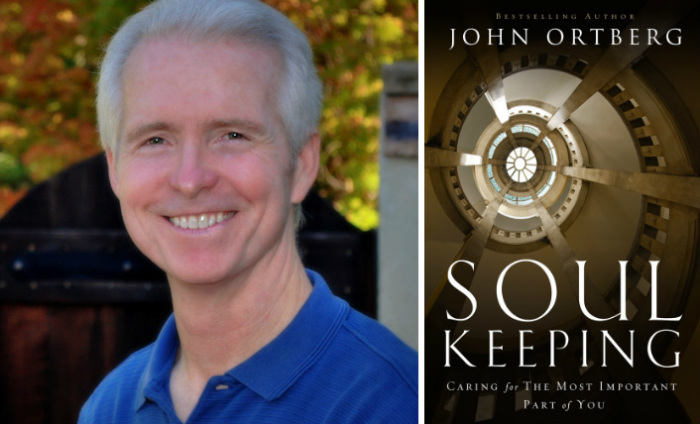 Ortberg, who pastors the 3,400-member Menlo Park Presbyterian Church (which recently voted to leave PCUSA) spoke with The Christian Post about his new book, and explained his take on the soul, sin and how suffering can play a part in caring for one's soul. A transcript of CP's interview with Ortberg is below. It has been edited for clarity. CP: What motivated you to take on this subject of caring for the soul? Ortberg: It was a relationship with a person who changed my life. His name was Dallas Willard and he is a philosopher. He just died this last year. He's the smartest guy I have ever known, but has also thought more deeply about God, life and faith than anybody I had known. [He] also lived a remarkable life and taught wonderfully about the soul and that really made me hungry to look at my own soul and eager to learn more about the soul. CP: How do you define "soul?" Ortberg: A lot of people think they understand about the soul, but maybe not. Of course we live in a day when increasingly the word "soul" doesn't get used much or doesn't get taken seriously. Some folks think that it's incompatible with science. From ancient times, the core idea of the soul, is the soul is the capacity to integrate different functions into a single being, or into a single person. The soul is what holds us all together, what connects our will and our minds and our bodies and connects us to God. CP: Is it that human beings have a soul, or that human beings are souls that have a body? Ortberg: To say that we are souls is more accurate than to say that we have souls. Way back in Genesis (2:7) it talks about God breathing into the human being that He made, and that human being "became a living soul." CP: How do you define "sin?" Ortberg: In order to understand sin, you have to first start by understanding what is "good." The Bible's word to describe life when it's good is "shalom." That's when everything is the way that God wants it to be, so sin is when we violate shalom. Sin is very important to the soul because sin is what disintegrates the soul, it's what attacks the soul. Sin kind of is to the soul what cancer is to the body. CP: What are the aspects of a healthy soul? Ortberg: A healthy soul is whole and integrated. It is connected to God. A person with a healthy soul is at peace with God, with himself and with other people. CP: So how might someone doing honest self-evaluation or reflection identify if their soul is unhealthy? Ortberg: An unhealthy soul would be constantly tormented by conflicting desires. On the one hand, I want to be a good person. I want other people to think that I'm a good person. But I also want to have lots of stuff so I want to be able to afford things and I want to be able to be judgmental toward other people or to gossip when I feel like it. But then I have to pretend like I'm not really gossiping and that I'm really kind. So there's all of these disconnects or this kind of brokenness or fractured being between my values or what I say are my values, and my words and my faith and my life. CP: If someone falls in line with what you just described but sees nothing wrong with hoarding or accumulating wealth, I'm wondering at what point they might agree with you that they have an "unhealthy" soul. Ortberg: That's a very important point, and another symptom of the unhealthy soul is denial. We all have this tremendous capacity to keep ourselves from knowing the truth about ourselves and to rationalize and excuse. So one of the worst parts about having an unhealthy soul is we're able to keep ourselves from seeing how unhealthy it is. CP: I guess then you're basically trapped until you come to a point of honest reflection? Ortberg: Yes, and well we need help from God with it, and that's one of the biggest themes in the Bible. We all know it's true, but it's just blindness. It's very much like when somebody struggles with an addiction. They will find a way to keep themselves from realizing that. And until they hit bottom or until there's intervention from other people that love them, until they're able to see a reality that's painful to look at, they may go months or years or decades without ever actually facing up to what's real. We all have that capacity. CP: How does suffering play a part in the process? Folks who write about the soul will sometimes talk about the dark night of the soul, times when people are not only suffering but they wonder where is God in the midst of my suffering, feel confused or uncertain. And yet God is at work in the soul in those dark nights, often in unique ways and in ways when we look back on it, we realize that those times were purifying us, making clear what kind of attachments do I have that are foolish or illusory in ways that are very important. CP: You mention that the soul has nine needs. Is there one need that has preeminence? Ortberg: I've been part of a study project called SoulPulse, that's looking at people's awareness of God in their life and also their experience of the fruit of the Spirit — love, joy, peace and so on. The single dynamic that helps people be most aware of God and most experiencing the fruit of the Spirit is gratitude. There's something about the experience of gratitude that is enormously powerful spiritually. I think it's because the soul by its basic nature is such a needy thing. The soul was made to need God. So when we experience life as a gift and we're grateful to God, that makes a huge difference for the soul. CP: How does the Holy Spirit play a part? Ortberg: Part of why the language of soul is so important is that it reminds us that we exist before God. It's interesting, in our day we use the word "self" much more than we use the word "soul," but it doesn't quite carry the same spiritual impact. When we sing songs like It Is Well With My Soul, that has a different feel to it than if we were to say, "It is well with my self." That's because for the soul to be healthy it needs to be connected to and in communion with the Holy Spirit. The Holy Spirit is able to interact directly with us at the deepest level of our souls and apart from that our souls are always hungry. CP: You believe that care of the soul is often overlooked. Why do you think that is? Ortberg: I think in our day the word "soul" is used less and less often, partly because it's thought to be not scientific. What happens is, it's a lot like your car. 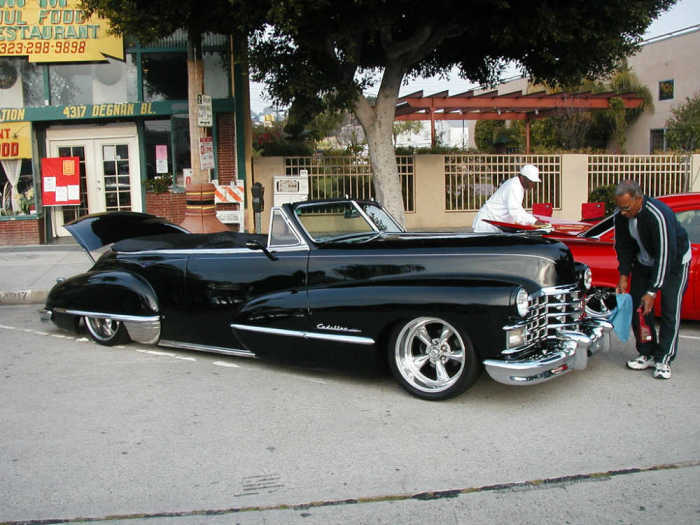 If you want to care for your car, you kind of have to know what the parts do, what the carburetor does, what the fan belt does — somebody's gotta know that if they want to care for it. It's much the same with the soul. It's really interesting when I speak with people, just to say the sentence, "You have a soul" makes people get real quiet. Because at some deep level, we all recognize this. The beginning place really is just for people to acknowledge that they have a soul and that it needs to be cared for. CP: What do you want to be the major takeaway for readers of Soul Keeping? Ortberg: For people to be grateful that they exist as souls, and to recognize that part of what that means is that they are eternal beings, and they [can] have their souls healed and cared for by God. Ortberg is the award-wining and bestselling author of When the Game Is Over, It All Goes Back in the Box; The Life You've Always Wanted: Spiritual Disciplines for Ordinary People; and If You Want to Walk on Water, You've Got to Get Out of the Boat. Learn more about Ortberg, his ministry and work online: http://www.johnortberg.com.